The world needs your help! A Magic Portal to another dimension has opened, and evil trolls are coming through, bringing hate and fear into our world. And this portal is actually somewhere in Helsinki! Are you brave enough to venture out and search for the portal? On your quest through the city, you will need to solve tasks and riddles to uncover magic crystals, which will help you close the portal – if you can find it. To aid you on your journey, we will give you some magical items and a tablet, through which you can contact the Goblin, your guide. 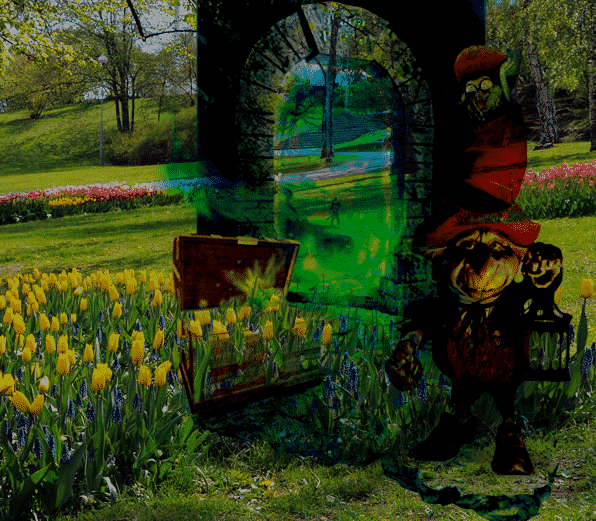 The Magic Portal is an outdoor escape game. It can be played in groups of 2-5 people and is well suited for children in the company of an adult. The maximum duration of the game is 1,5 hours and the route you will be walking is about 1,5 kilometers.